Mt. 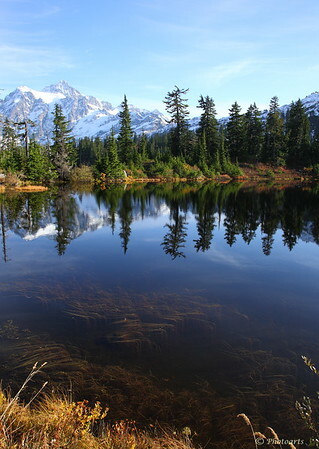 Shuksan rises over a clam picture lake in Mt. Baker National Forest. This vertical version of one of my most popular pictures posted years ago begged to be added! Mt Shuksan is one of the most photogenic of the US mountains as this shot shows! Beautiful scene with amazing reflection.